I completely agree...and you are adorable! how is it that you can look so cute while making silly faces? it's a talent i tell ya! So cute. How did yo make this collage!? I agree. You have to be able to laugh at yourself! haha too funny :) cute! the one with the glasses in the bottom row is my fav! p.s. thanks again for the jewelmint giveaway!! can't wait to wear my new necklace!! Every single picture is great! Thanks for making me smile! I just love this post. Thank you. So true. :] These pictures are awesome! So cute! How did you make this collage? That's cute and a great way to live! This was good to read today! Loved your silly faces! My favorite is the muscle pose. Too cute. i absolutely adore this. your hair is simply perfect! and your simplicity and beauty is divine! girl, this is for real true. love the hollywood squares style pictures, adorable! you look like olivia wilde in all of these pics. You are adorable and SO RIGHT. This post made me heart you even more! i love this! it's so fun- what a good idea! this is so cute! was this styled after Minka Kelly's esquire shoot? I did a similar shoot with my girlfriend but I'm loving the silliness of yours! fin du är & snygg design! This is super cute and so, so, so true! Happy weekend to you! You look so cute! Love your braid! This is just the cutest thing! I love it, and it is so true! Yay! Totally agree. Lovely photo! I just found your blog and I have to say I absolutely love it. And this post! I love all the goofy pictures. I bet you had a blast taking them. I sure like your blog, it's super fun and real! Being happy is one of the most important things in the whole world! ahahhaa this is cute. nice reminder to just not take things too seriously! I've tagged you sweet girl! Join in on the fun if you'd like to, or just enjoy seeing what I've written from my turn of being tagged. Hahaha you are SO ADORABLE!! amen amen aaameeennnnn to this! 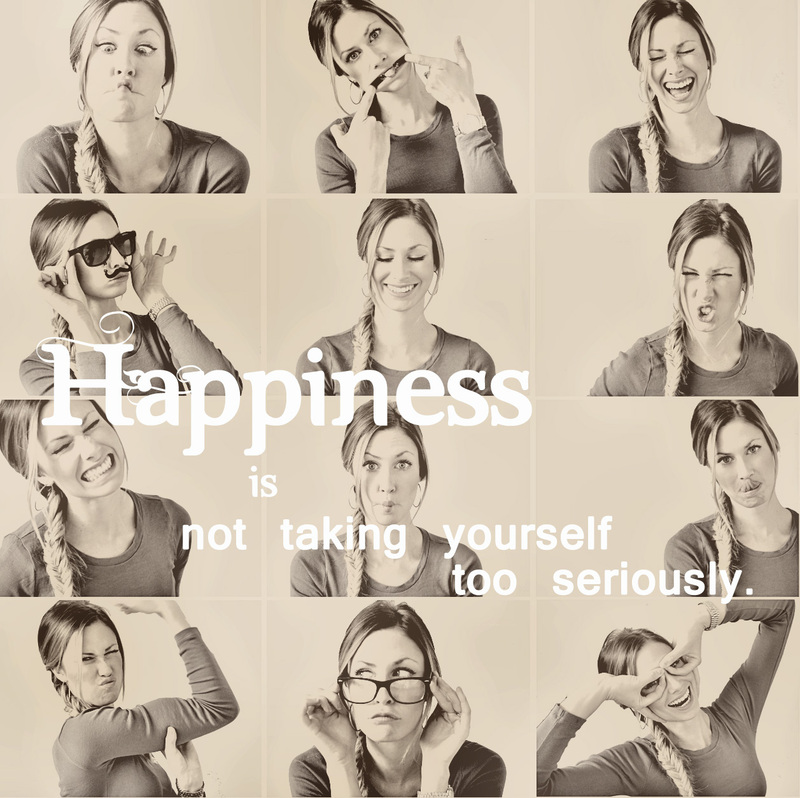 you can't take yourself or life too seriously... or how will you have any fun? Hi Katie! Just wanted to let you know I "borrowed" your "Who Am I?" post for my blog. Filling out some of those answers was harder than I thought it would be! just discovered your blog and i LOVE it. so glad a found you. I love this pictures, I completely agree with you. Love this. Its a great reminder. I loove those photos and tottaly agree with this! Hi! Just stumbled onto your blog a bit ago and realized that I had "pinned" a bunch or your photos- small world! Anyway I love your blog and adding it to my blogroll!